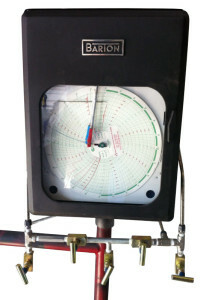 Barton Chart Recorders are the industry standard for accurate, reliable measurement and recording of pressure and temperature in a wide variety of applications. Total weight less than 100lbs. 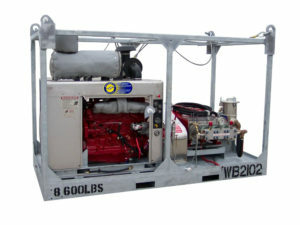 All hydrostatic test units come with (1) section of high pressure test hose. All calibrated test recorders, temperature recorders, and digital units include 20´ of test hose, stainless steel high-pressure adapter to ½", charts test stand, calibration certificates, and shipping box. When Vaetrix specifies the gauge accuracy to be better than 0.1% we guarantee that the total error (allowing for temperature shift) for any reading in the device's range shall not exceed 0.1% of full scale regardless. The gauge has proven itself in harsh environments under rugged handling as an accurate and dependable field survey gauge. • A master calibration standard for the instrument department. 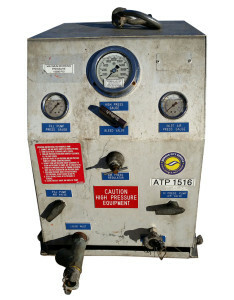 • A traveling pressure standard for field inspectors or technicians. • A precision test device for use in industrial and research applications. • A precision pressure instrument for testing, setting, and calibrating.